January 31, 2017 /in Conditions /by Willam C. Christie M.D. Call Scott and Christie Eyecare Associates today to schedule an eye exam. July 5, 2016 /in Conditions /by Willam C. Christie M.D. Ocular health is, simply, the health of our eyes. Our eyes capture light and then work with our brains to help us see. Good ocular health is defined as having vision that is 20/20 or better with or without correction, and disease free eyes. Unfortunately, our eyes are constantly being exposed to things that can harm our vision. Whether it is UV from the sun or blue light from our extensive use of digital devices, we are constantly jeopardizing our ocular health. Blue light especially is a huge concern, as we spend a lot of time looking at our phones, computers, televisions, and tablets. This can cause digital eye strain and hurt our retinas. We can also strain our eyes by reading in bad lighting. What Can You Do To Maintain Ocular Health? It is very important to get your eyes checked frequently! Whether you are an adult or a child, regular check-ups are vital to maintaining good ocular health. Eye exams catch eye diseases early on so that they can be treated and controlled. They also look for refractive errors, which affect your vision by causing nearsightedness, farsightedness, and astigmatisms. These sorts of issues can be corrected by prescription lenses, contacts, or in some cases, surgery. Along those lines, eye exams help you make sure that your prescriptions are up to date and correcting your vision, instead of harming you with the wrong ones! We can protect our eyes from UV by wearing good sunglasses and we can filter out the blue light with special blue light blocking lenses. Why Is Getting Your Eyes Checked Now So Important? 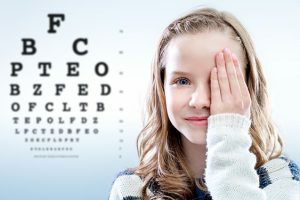 It is important for people, especially students, to get their eyes checked at this time of year! If you are about to go back to school for the fall, you want to make sure your vision is where you thought it was, and that you have the right prescription. Many people think that they have 20/20 vision, but an eye exam reveals that they actually need some sort of prescription! Your current prescription could also be out of date, and you might need a new one to best correct your vision. Get your eyes checked to make sure you can catch any problems early on and get the right glasses, contacts, or surgery to correct your vision and maintain good ocular health! April 4, 2016 /in Conditions /by Willam C. Christie M.D. the retina. Then these broken down pieces of the vitreous are the floaters. Seeing floaters from time to time is not a concern, but if you see a shower of floaters as well as flashes of light, you should immediately seek medical attention. 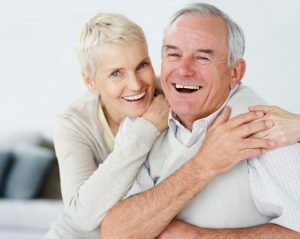 Here at Scott and Christie Eyecare Associates, our doctorcs take every case of floaters they see seriously to make sure that you and your loved ones get the best care possible. Visit our contact us page to schedule an appointment. Scott and Christie Eyecare Associates is located in Pittsburgh and Cranberry. Usually, light enters the eye and stimulates the retina. This produces an electric impulse, which the optic nerve transmits to the brain. The brain then interprets this impulse as light or some type of image. When this occurs it is known as Flashes. Sometimes these flashes can appear as lines that last up to 20 minutes. Flashes (photopsias) also may occur after a blow to the head that is capable of shaking the vitreous gel inside the eye. When this occurs, the phenomenon sometimes is called “seeing stars.” If a headache follows the flashes, it is called a migraine headache. Here at Scott and Christie Eyecare Associates, our doctorcs take every case of flashes they see seriously to make sure that you and your loved ones get the best care possible. Visit our contact us page to schedule an appointment. Scott and Christie Eyecare Associates is located in Pittsburgh and Cranberry. March 28, 2016 /in Conditions /by Willam C. Christie M.D. Age-related macular degeneration, often called AMD or ARMD, is the leading cause of vision loss and blindness among Americans who are age 65 and older. Because people in this group are an increasingly larger percentage of the general population, vision loss from macular degeneration is a growing problem. AMD is degeneration of the macula, which is the part of the retina responsible for the sharp, central vision needed to read or drive. Because the macula primarily is affected in AMD, central vision loss may occur. About 1.75 million U.S. residents currently have advanced age-related macular degeneration with associated vision loss, with that number expected to grow to almost 3 million by 2020. 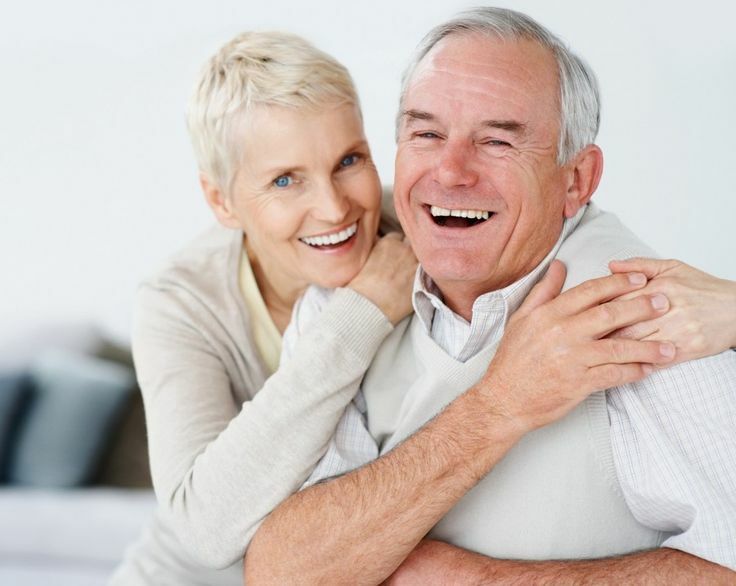 Age-related macular degeneration usually produces a slow, painless loss of vision. In rare cases, however, vision loss can be sudden. Early signs of vision loss from AMD include shadowy areas in your central vision or unusually fuzzy or distorted vision. Scott and Christie doctors often detect early signs of macular degeneration before symptoms occur. Usually this is accomplished through a retinal exam. When macular degeneration is suspected, a brief test using an Amsler grid that measures your central vision may be performed. There is as yet no outright cure for age-related macular degeneration, but some treatments may delay its progression or even improve vision. Treatments for macular degeneration depend on whether the disease is in its early-stage, dry form or in the more advanced, wet form that can lead to serious vision loss. No FDA-approved treatments exist yet for dry macular degeneration, although nutritional intervention may help prevent its progression to the wet form. Contact us at Scott and Christie Eyecare Associates to schedule an appointment at our Cranberry location or our Pittsburgh location. March 21, 2016 /in Conditions /by Willam C. Christie M.D. It is estimated that about 50 million Americans have seasonal allergies. With allergy season knocking on our door, Scott & Christie Eyecare Associates wants you to understand what causes your allergies and how to relieve yourself from dry, itchy, red eyes. Avoid Allergens- The best approach to controlling your eye allergy symptoms is to do everything you can to limit your exposure to common allergens you are sensitive to. For example, on days when the pollen count is high, stay indoors as much as possible, with the air conditioner running to filter the air. Use high quality furnace filters that can trap common allergens and replace the filters frequently. Removing your contacts– Because the surface of contact lenses can attract and accumulate airborne allergens, consider wearing only eyeglasses during allergy season. Or consider switching to daily disposable contacts that you discard after a single use to avoid the build-up of allergens and other debris on your lenses. Over-the counter eye drops– Because eye allergies are so common, there are a number of brands of non-prescription eye drops available that are formulated to relieve itchiness, redness and watery eyes caused by allergies. If your eye allergy symptoms are relatively mild, over-the-counter eye drops for allergy relief may work very well for you and may be less expensive than prescription eye drops or other medication. Ask your eye doctor to recommend a brand to try. We hope that this will help you with your seasonal allergies. You can visit us at our Pittsburgh or Cranberry location if you have any questions. Or feel free to contact us at either location. Here are Scott & Christie Eyecare Associates, your eye sight is our vision. March 7, 2016 /in Conditions /by Willam C. Christie M.D. Schedule an appointment with Scott and Christie Eyecare Associates, at our Pittsburgh or Cranberry location. A visit with one of our top rated doctors will help you get a better understanding of your child’s refractive errors. March 2, 2016 /in Conditions /by Willam C. Christie M.D. The number of Americans suffering from dry eyes is on the rise and continues to be one of the most common reasons patients visit their eye doctor. Over 26 million Americans have dry eye, and many don’t even realize they have the issue because they attribute it to eye fatigue or allergies. One reason dry eye cases continue to increase is due to the amount of time we spend staring at screens, whether it be our phones or computer screens. When we stare at screens, we don’t blink as often as we should. Blinking is extremely important because it stimulates tear production and spreads our tears over the surface of the eye. Over time, this decrease in blink rate can cause serious issues with our eyes feeling gritty and dry. The two main forms of dry eye are evaporative dry eye and aqueous deficient dry eye. Aqueous deficient dry eye is when the lacrimal glands don’t produce enough water to keep eyes moist. People often believe this is the issue they have when their eyes feel dry; however, only 14% of dry eye cases are of the aqueous form. Most people typically suffer from evaporative dry eye. Evaporative dry eye happens when the Meibomian glands are blocked. Meibomian glands are located in the eyelids and when functioning properly, they create an oil layer of tears. Without this oil, tears evaporate 4 to 16 times faster which is what causes that discomfort and dryness. Your eye doctor should determine which method is best based on the type of dry eye and severity. If you believe you are suffering from dry eye, it’s important to speak with your eye doctor as soon as possible. At Scott and Christie Eyecare Associates, we offer the most advanced dry eye diagnosis and treatment options available. Schedule a dry eye assessment with us today to learn more. February 26, 2016 /in Conditions /by Willam C. Christie M.D. For patients living with diabetes, there are many aspects of their health that they must keep track of. An area that they should absolutely not neglect is their eyesight. It is especially important for adults over 40 with diabetes to have their vision checked annually as the beginning stages of diabetic retinopathy may be present. Younger diabetic patients should also make sure to be examined as prevention is the best possible way to stop the disease; like most diseases it is easiest to prevent at the earliest possible time. Diabetic retinopathy is a set of vision problems including: blurred and/or cloudy vision, floating blind spots, and vision loss. These occur as a result of unregulated blood sugar in the body. The varying blood sugar levels cause the blood vessels in the eye to become weak, bursting and leaking blood into the eye over time. New, weaker vessels will grow, but often form within the retina, further causing vision difficulties and problems. If unchecked, this could lead to permanent partial or complete vision loss. Annual eye examinations allow doctors to see exactly how far along the disease is progressing and how to counteract it. There is no absolute cure for the condition, its progression can be slowed and the more damaging effects can largely be avoided. Some of the best ways to keep your eyes healthy are to consistently monitor and control your blood sugar and pressure levels, as well as practicing healthy habits such as diet and exercise. Treatment options often involve laser procedures. These are designed to break up the weak vessels and stop possible leaks in the others. Optical professionals will be able to identify the correct course of action, but it is essential to have regular eye exams to prevent this condition from causing serious vision problems. Contact us at Scott and Christie Eyecare Associates to schedule a Diabetic Retinal exam. We happily provide all of the eye care needs to Pittsburgh, Cranberry, as well as all of the surrounding areas. February 8, 2016 /in Conditions /by Willam C. Christie M.D. Blepharitis sounds like a serious eye disorder, but it is really a very common ailment that we often see in here in our offices at Scott & Christie. 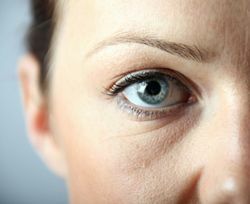 It is the term for a chronic inflammation of the lower eyelids and eyelashes. Blepharitis symptoms include: redness, swelling, itching, and irritation; causing discomfort for patients, but usually do not affect a patient’s vision. There are a host of factors that doctors have found that contribute to blepharitis. The most common of these are: minor bacterial infection, poor eyelid health and hygiene, and allergic reactions to external stimulants. Doctors may be able to determine the cause of the inflammation when they examine the eyes themselves. Treatment for blepharitis varies depending on the severity and cause. If doctors believe it has to do with eyelid hygiene or infection, antibiotics may be prescribed. In most cases an eyelid scrub is advised- several times a day if needed. This involves mixing a small amount of baby shampoo and warm water together with a cotton swab and gently cleaning the outer lid and eyelash areas of the eye, rinsing with cool water. It is highly recommended to change swabs per eye. Another treatment option is to take a clean washcloth soaked in warm water and cover the eyes for up to five minutes, several times a day. This helps reduce the redness and irritation in the eyes. Always consult with a doctor before self treatment. Contact us at Scott & Christie Eyecare Associates in Cranberry Township for more information.